While some countries still enact mercantilist policies that directly affect the relative prices of traded goods in ways that David Ricardo would have understood two hundred years ago, in today’s global trading environment, persistent trade surpluses are usually caused by distortions in income distribution that force up savings rates. These high savings rates, which are almost always mistakenly attributed to a country’s thrifty habits—just as low US savings rate are foolishly attributed to spendthrift American habits—create demand deficiencies that must be resolved with trade surpluses. For most of modern history, however, it wasn’t this way. Trade imbalances reflected mainly the relative costs of producing goods. If British textile manufacturers could produce and ship textiles to France at a much lower cost than French producers could manage, for example, England would run a trade surplus in textiles with France, and bankers would finance the trade imbalances. During this time, 90 percent of all international financial transactions in London consisted of trade finance. A country’s trade balance consisted of the sum of all its various bilateral trade imbalances, and net flows of capital were primarily driven by trade finance. Trade and capital flows today follow a completely different dynamic, but the older model is so intuitively appealing that it implicitly underlies, and confuses, most trade discussions today. Two fundamental differences have transformed trade and should have transformed the way we think about trade. First, the collapse in transportation costs has stretched value chains across sometimes dozens of countries, so that most trade consists of intermediate goods, not finished goods. Second, international finance is no longer trade finance. Capital flows have grown so much that investment flows wholly overwhelm trade flows. As a result, one country’s trade imbalances with another can easily be the consequence of capital flows created by distortions originating elsewhere. Mexico is a case in point. Ranked third among major US trading partners, after Canada and China, Mexico’s $525 billion in total trade with the United States in 2016 is a major focus of complaints by the Trump administration. This might at first seem reasonable: Mexican exports to the United States last year exceeded imports by $63 billion, constituting the fourth largest bilateral US trade deficit, after those with China ($347 billion), Japan ($69 billion), and Germany ($65 billion). Mexico, however, is a net importer of capital and runs an overall current account deficit that is the seventh largest in the world, equal in 2015 to 2.8 percent of GDP. This makes it very different from the other three countries. Their large American bilateral trade surpluses are subsumed within even larger overall surpluses with the world. This means these countries are also the world’s three largest net exporters of capital—China ($293 billion), Germany ($285 billion), and Japan ($138 billion)—as they invest more abroad in stocks, bonds, and other assets annually than they take in. This isn’t a coincidence. Countries with trade surpluses have savings rates that exceed domestic investment rates mainly because ordinary households in these countries retain too small a share of their country’s GDP—relative to their governments, businesses, or the wealthy—to consume a high share of total GDP. This is why these countries must run surpluses. Their high savings rates have little to do with thrifty households and instead are structurally embedded within the economy. They can only be resolved with politically difficult wealth transfers. If they cannot export their twin excesses of production and savings to the world that wants neither, they must close production facilities and fire workers. Imbalances were not always driven by distortions in income distribution. In the nineteenth century, and for much of history before that, trade typically reflected specific cost differences between two countries in the production and exchange of final goods, and capital flowed across borders mainly to balance trade gaps. Bilateral trade conditions explained most demand and supply for traded goods, and its financing needs drove net capital flows. Since the late nineteenth century, however, trade has increasingly consisted of intermediate goods as collapsing transportation costs have spread trade across widely-dispersed value chains. At the same time, capital flows have grown to become several times larger than trade flows, with merchandise trade only accounting for just over 1 percent of daily foreign-exchange trading volume, according to the United Nations Conference on Trade and Development. Cross-border investment decisions are now made independently of trade, and in fact force adjustments that drive overall trade. We can see how this works by considering what drives shifts in capital flows and how these have affected trade. Before the LDC Debt Crisis of 1982, for example, huge petrodollar hoards were recycled into developing countries, and these capital flows funded increases in consumption and investment that led to the large trade deficits that balanced the net capital inflows. When US interest rates started to rise, however, frightened global banks pulled credit lines and net capital inflows reversed, leading to lower investment, soaring unemployment, and currency devaluations. It was the effect of the sudden reversal of capital flows that converted the Latin American trade deficits of the 1970s into the surpluses of the 1980s. Something similar happened a decade later, when East Asian countries, after years of mercantilist trade surpluses, began running large trade deficits. These shortfalls occurred when South Korean, Malaysian, Indonesian and Thai businesses gorged themselves on cheap dollar loans, spearheading large net capital inflows. When concerns about burgeoning debt suddenly caused inflows to reverse in 1997, the result once again was collapsing currencies and rising unemployment that violently converted trade deficits into surpluses. You may also like Felix Zulauf: 2017 Could Be a "Game Changer"
Capital continues to drive imbalances in the post-crisis world economy. Capital has been fleeing China, for example, since 2012, at first mainly in reaction to the anti-corruption campaign, but later these outflows were exacerbated by worries about the slowing economy. China ran huge trade surpluses even before then when it was the Chinese central bank that exported capital as it accumulated one of the history’s largest hoards of central bank reserves in its efforts to keep down the value of the renminbi. In Germany, ever since the 2003–2005 labor reforms that caused business profits to soar at the expense of wages, German banks have exported the gap between rising savings and declining investment—a figure that rose in less than five years to become among the largest ever recorded. Along with excess savings, Germany exported the manufactured goods that German households couldn’t consume and German businesses wouldn’t invest, first to the rest of Europe and later to the rest of the world. In today’s environment of weak global demand, there has been little appetite among any major economies for the excess production and savings of these major surplus nations, but the absence of capital controls has made the United States the default adjustment for global capital imbalances. Because of its deep financial markets and lack of discrimination between domestic capital and foreign capital, the US economy automatically absorbs nearly half of the world’s net capital exports. As a corollary, the United States must also automatically absorb nearly half of global trade imbalances, usually adjusting to the capital inflows by way of a stronger dollar, rising debt (driven by lower real interest rates), and higher unemployment, all of which inexorably force down the US savings rate. Predicting the exact form of adjustment is impossible, but it is an iron-clad requirement that a change in the capital account must be matched by an equal adjustment in trade. This is why American concerns about the adverse impact of trade on employment are misplaced when it comes to Mexico. Unlike surplus countries, Mexico doesn’t suffer from domestic demand deficiencies that require trade surpluses and the export of excess savings. As a net importer of capital and with its large current account deficit, Mexico helps absorb excess global savings and production that might otherwise force even larger US trade deficits. It does so in two ways. First, trade imbalances originate in other countries that resolve them directly by exporting excess savings to the United States, and indirectly by exporting excess production in the form of intermediate goods shipped to several countries in a value chain, which in turn run trade surpluses with the United States. 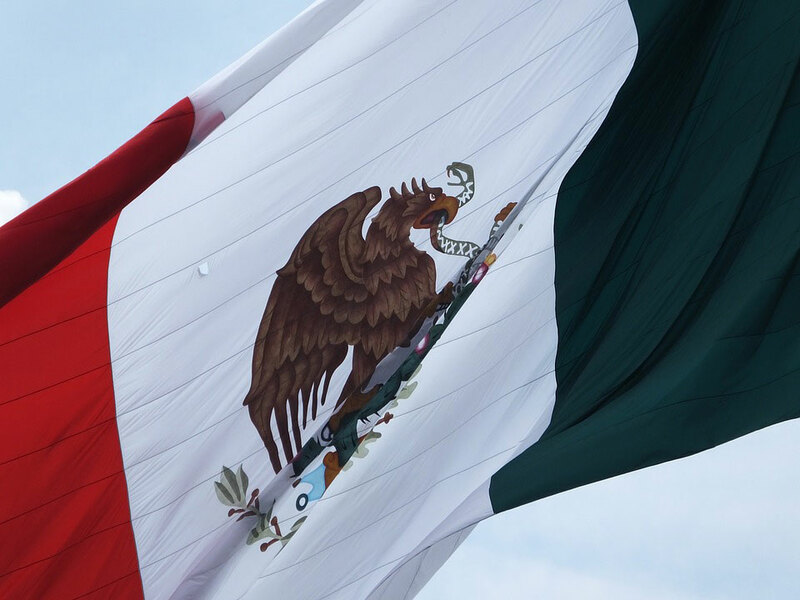 Mexico is often the last stage of the process mainly because of streamlined regulations governing Mexico-US trade and the logistical convenience of a shared border. These surpluses, in other words, don’t originate in Mexico. Mexico is simply one step along the way, and for geographic reasons, it is usually the last step. The second way Mexico helps absorb global imbalances is through its own growth prospects. NAFTA creates incentives for Mexican producers to expand manufacturing and export goods to the United States, but the success of Mexican exports creates the need for investment or raises domestic income and consumption, so ultimately this success automatically increases Mexican imports of goods from the rest of the world. Some of these goods are imported directly from the United States. The rest are imported from elsewhere, although in many cases they include American-produced intermediate stages, but even when they don’t, they still reduce the overall US trade deficit because of the aforementioned role the United States plays in resolving global capital imbalances. By absorbing excess production and excess savings from elsewhere, much of it intermediated through the United States, Mexico reduces the amount of capital and exports that must ultimately be absorbed by the US economy. Consider what would happen if Washington were to implement interventionist policies that reduce Mexican exports to the United States. By undermining the Mexican economy, trade intervention would make Mexico less attractive as an investment destination. As net capital inflows into Mexico drop, Mexico’s trade deficit would also drop, probably resulting in a weaker currency and higher unemployment. If net capital outflows from the rest of the world to the United States are unchanged (in fact, they would probably rise, as the Mexican contagion spread to other Latin American countries), the automatic consequence would be a bigger US capital account surplus. Such a surplus—by forcing up the dollar, lowering credit standards, or some other mechanism—must inexorably and automatically result in a bigger US trade deficit, even as the US trade deficit with Mexico contracts. Because of US trade intervention, in other words, US jobs gains in industries competing with Mexico would be more than offset by US jobs losses as a larger overall American trade deficit undermined other American industries. Check out Should We Pay Off $20 Trillion in National Debt by Selling Federal Assets? This is why we must be careful about how we interpret Mexico’s large bilateral trade surplus with the United States. As the seventh largest absorber of excess global capital in the world, Mexico and its trade help reduce the US trade deficit by moderating global imbalances. It absorbs excess savings from other countries, along with the excess production of consumer or investment goods. Because the world’s excess savings always end up in the deep, unrestricted, and sophisticated US capital markets, it is an iron-clad necessity that the world’s excess production must end up in the United States as well. The global trading system clearly needs fixing, but punishing Mexican exporters does nothing to address the fundamental problem of excess savings in certain countries. These excess savings abroad are the root cause of American deficits. Punishing Mexican exports would risk destabilizing the economy of an important country whose prosperity adds to US prosperity, would only increase pressure for poor Mexican to emigrate, and in the end would almost certainly make the US trade deficit even larger. Although the current account includes far more than just the trade account, for clarity, we will ignore the difference between the two. This does not in any way change the underlying argument. See Michael Pettis “Is Peter Navarro Wrong on Trade?”, Carnegie Endowment for International Peace, February 2, 2017, https://carnegieendowment.org/chinafinancialmarkets/67867.